Daniel J. Siegel, M.D., is clinical professor of psychiatry at the UCLA School of Medicine, founding codirector of the UCLA Mindful Awareness Research Center, and executive director of the Mindsight Institute. He is also coauthor of Parenting from the Inside Out and The Whole-Brain Child, and the proud father of two children in their twenties. "Brainstorm is a must read book for every parent if they want to avoid emotional turbulence in their own lives as their children go through adolescence. It's lifesaving for the whole family." 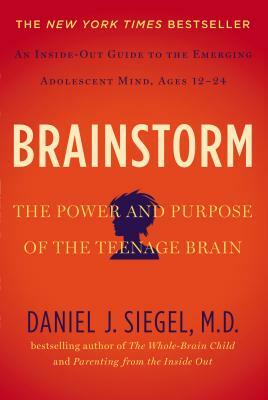 "Siegel emerges as a bighearted writer, fully convinced that we all possess the fundamental virtues to navigate the choppy waters of adolescence, and he is eager for us to set them loose, working with adolescents to cultivate the positive aspects—and he is hugely convincing of the intense engagement and creativity that often accompany this time period in a person’s life. Smart advice...on providing the most supportive and brain-healthy environment during the tumultuous years of adolescence." "By the end of this book, the teenager has been transformed from a monstrous force into a thinking, feeling, and entirely approachable human being."